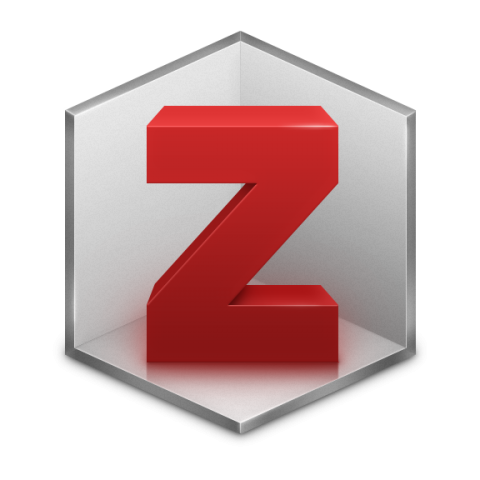 Zotero is free and easy-to-use desktop software to help you collect, organize, cite, and share research. Zotero is available for Mac, Windows, and Linux. Zotero allows you to sync data across devices and access your records from the web. You can easily add references to your Zotero library from the web by adding Zotero connector browser extensions for Firefox, Chrome, or Safari. 1. Install Zotero on the computer you will use most often. 2. Set up a Zotero account. 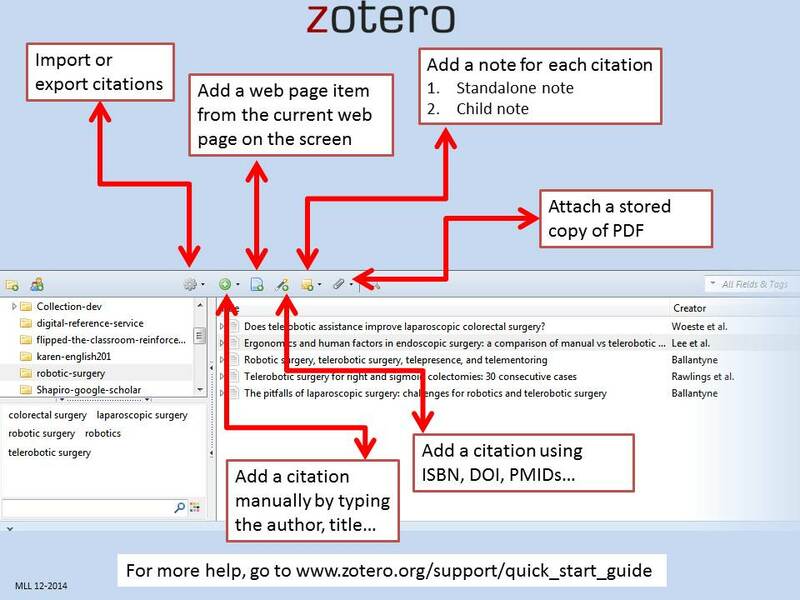 https://www.zotero.org/user/login/ . Accounts let you sync, use groups and back-up attached files. 3. Install connectors to let your web browser save citations to your Zotero library with one click. 4. Open Word or other word processing software and make sure the Zotero plug in was installed. If not, you may need to add manually. General Preferences: we recommend using Zotero for awhile before changing default settings. Export: Adjust to citation format you will use most when sending records from Zotero. Styles: Adjust to citation format you use most when writing or preparing bibliographies. Can be easily changed if you use multiple formats. Advanced: Change settings so Zotero can more easily find full text. Using Zotero with Microsoft word is easy! 1. Get to the point where you want to add a reference and click on the Zotero toolbar in Word. 2. Click on Add/Edit Citation and select the citation style you want to use first, then ok.
Zotero supports APA, Chicago Manual of Style, MLA, Vancouver and others. 3. The next time you click on Add/Edit Citation, start typing information about your citation in the Z bar. When the correct citation comes up, click to add. 4. When you are finished writing, click Add/Edit Bibiiography and Zotero will add a bibliography at the end.